Update: This food court has shifted out of this location. An alley down the road (next to the multi story car park) still maintains several vegan food stalls. I don’t know if they are open past the afternoon. My absolute favourite spot in Bangkok for breakfast, this veggie paradise is tucked away off Phahon Yothin, a five minute walk from Ari BTS station. 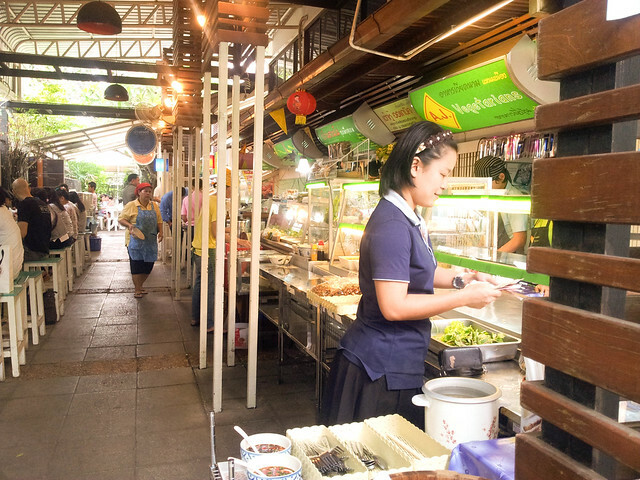 Individual vendors offer a variety of strict vegetarian dishes (no need to fear the ever-present fish sauce here), from mock meat local fayre to sushi and noodle bowls. 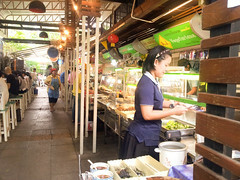 There’s also a Thai dessert stall and a small supermarket (not 100% vegan, but certainly vegetarian) at the far end. 30 baht will get you a ridiculously filling meal. If you can’t find it, just follow the covered walkway beside the bright yellow ATM. Open until around 14:30, grab some early grub here to keep you going until dinner. Packed with the usual larb flavour stars (chili, lemongrass, mint…), this is almost like the Thai equivalent of our tofu scramble (except a thousand percent better). I’ve enjoyed larb at many a Thai vegetarian restaurant, but Baan Suan Pai dishes up one of the better versions. The tofu and greens had a mild 5-spice flavour, not at all overpowering nor spicy, and included a few specks of faux meat. A great combination with the larb and rice. 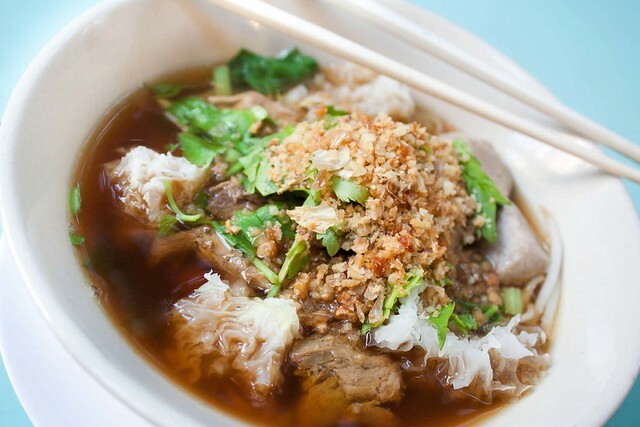 One of the things I love about Southeast Asia is the embracing of soup as a breakfast item. Thai parlsey, white fungus mushrooms and peppery-mushroom based faux fish balls served up in a light broth, this noodle bowl was heaped with copious amounts of deep fried shallot and fresh herbs and made for one of my favourite brekkies of all time. Faced with a long overnight train journey, on my second and final visit to Baan Suan Pai I bought some lemongrass “beef” with galangal and tofu in yellow curry sauce for takeaway. I wish I’d have taken a photo, but balancing both food and cutlery on a bumpy train ride left little room for a camera. My bad. I still spilled it anyway (and it was an ace dinner, duh). 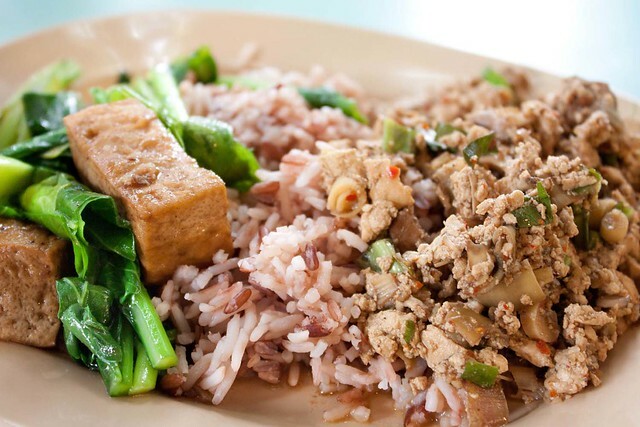 This place easily rates in my top 5 must eat vegetarian haunts in Bangkok. It’s only a breakfast and lunchtime deal though, so plan accordingly.